It’s been a really tough week in Nairobi. The Westgate Mall attack has dominated my mind. On Wednesday I did a days teaching making ‘Enkaji’ Maasai Huts with a group of Year 1 students. It was a fun day and good to get away from the terrible rolling news. 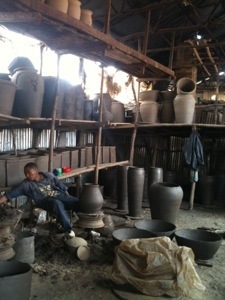 We went to this magnificent place to get the clay.& I loved it!